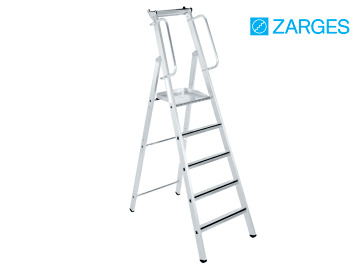 The Zarges Masterstep is safe and comfortable for optimum freedom of movement. 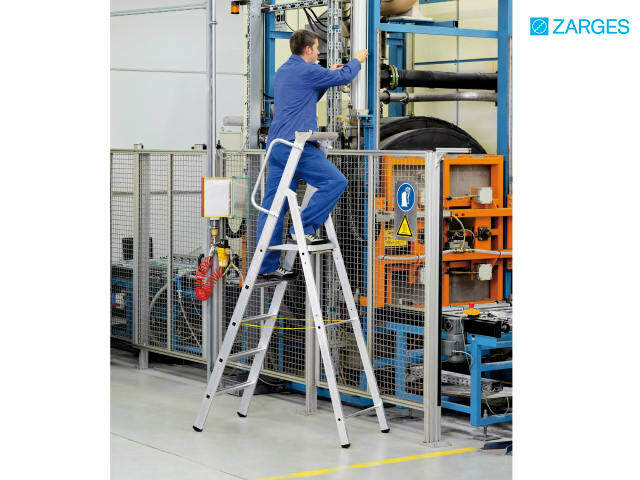 It has a particularly large work platform (400mm x 400mm) with aluminium checker plate surface and 80mm deep steps with ZARGES Safer Step Technology for fatigue-free standing. Two handrails are supplied as standard for safe access. 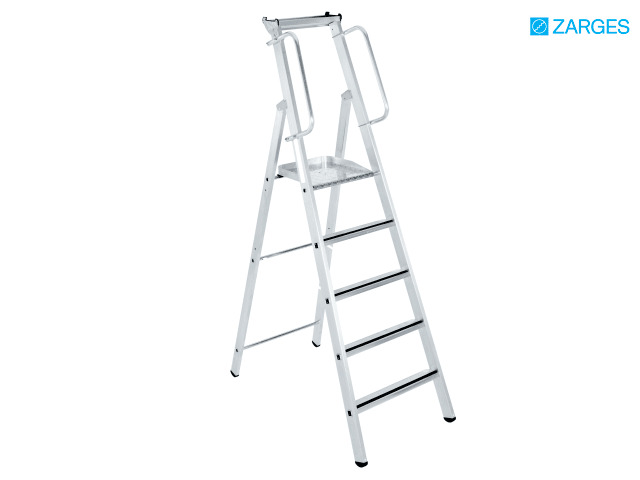 Includes practical aluminium storage tray for small items, and an extra high knee rail. Has a 10 year guarantee.